I'm sticking with Seren for now. I mean, come on. The guy has been one of the major three gods for the game's entire history, and they made him about as one-dimensional as the chaotic stupid Bandos. I wasn't actually planning on siding with him (Armadyl! And maybe Seren if Big Bird gets his goals retconned a la Guthix and Saradomin! ), but I kind of expected better. This is supposed to be a conflict with multiple well-developed sides, isn't it? Just like every side has multi well-developed jobs. Why the Godless is disappointing? They really do need to give him more nuance, I honestly think he could be a good example of Light is not Good. Sliske - ??? He's either a Red Herring or the lore about him we got here is a tease. Armadyl? I'd have to say RED, WHITE AND BLUE! Justice, peace and freedom. The proud avianese represent them, soaring through the sky, delivering justice on the guilty. Equal opportunity, liberty and a fair chance at prosperity. Join the Armadylians. Join the United Scapers of Armadyl. He said he was going to return home. Home =/= Gielinor. Nor does it mention the Edicts falling. If you pay attention to the names, he doesn't do that at all. Though he is still douche. Tribe 1 - Gets told off for making a big gold statue and told to tear it down and research weapons. Tribe 3 - Gets praised for smushing tribe 1 & 2 off their own initiative, after 1 and 2 had fought and stealing the weapons. Urged to cross the mountains and seas to fight more. Tribe 4 - Get's reprimanded for trying to be diplomatic and refusing to fight Tribe 3 even after being given the same weapons tribe 3 has via tribe 1's work. The Icyene are fighting rebels on their homeworld whilst Saradomin is away. A priest urges them to fight the rebels as Saradomin is finally returning (due to edicts). It's never a full out war and Saradomin never actually featured until the very end when he saved the writer from his depression. Not entirely true Zaros had ORIGINALLY surrounded himself with followers but was cast into the shadow realm by Zamorak stabby thing. The last follower realises Zaros has decided being surrounded by followers leads to betrayal so he is taking his control mantra further to be the unseen puppet behind everything utilising only a select few powerful allies. He still sent her a vision for being loyal and he hasn't abandoned anybody. Seriously wtf did you read? The entire story is about the Kharidians and their gods fighting AGAINST the Zarosian forces and *finally* making headway when Icthalrin returned with the 'Stern Judges' aka the Mahjaratt. Let us not forget after all the Mahjaratt came to Gielinor as devotees to the Desert Pantheon and later abandoned them for Zaros before splintering to Zamorak. Seren did anything but comply with Guthix, she exploded herself to actively defy him as being 'dead' she could not be expelled. Notable the Elves have ideas of how she might be restored but that does not neccessarily gurantee it will work. Added some comments because it bugged me how off base you readings were compared to what the books ACTUALLY say. Seren - Living in harmony with the world, give back more than you take, pacifist. Armadyl - Promising same peace and order Sara and Zaros ultimately want but not uber tiered boss around ur lessers do what ur greaters say that Zaros wants and not the im the one and only ultimate power and you will live peacefully or ill smite you Sara wants more everyone has an equal role and puepose to make peace together. Doesn't anyone else find it extremely strange that Drakan Castle is marked as Zarosian? Armadyl - Wasn't it established that the Aviansie were primarily on Gielinor? They were wiped out during the God Wars, and then Armadyl decided that they were entirely dead because they were gone from Gielinor. It seems entirely plausible that this is the world he is talking about. I mostly based the Edicts part off the fact that he "feels that it is now time to return" to the place that I believed to be Gielinor. The entire thing was written in such vague, poetic language (silly Armadyl) that I doubted it would mention the Edicts directly if it did. Bandos - Agreed, but my notes were intended as simply abridged interpretations. For the most part he was getting them to war against each other. Sliske - I was completely thrown off by the line "From far away I could make out the Kharidian gods thundering through the enemy with the Stern Judges at their backs". I haven't read up on the Desert Pantheon lore in a while so it seemed like the passage was switching back and forth to me. Apologies. Seren - It's entirely debatable that she intended to specifically defy Guthix. The books says that she "would not abandon us completely" and that "(Guthix) gave her no choice but to leave", implying that she was simply complying with Guthix in a way that also helped her people. Her spiritual form is still beyond our world, but she destroyed her physical one to allow it to help her followers. Actually when thinking about it I'm yet not sure between Seren and Godless. Reading up on the lore on Seren makes me think that the Godless would be the best choice for me afterall. So I am wondering, what happens when Zaros comes back? Is he and Zamorak gonna have a throw down or what? P.S. I didn't realize that we can put emotes in our ability bar! Bandos - He just likes to have fun. He is more powerful than his minions, so he does what he wants to them. He believes that the powerful should rule, which is probably the most natural and most easily enforceable. In a way, he's a lot like Zamorak, except he doesn't necessarily use his chaos for good. Regardless, he keeps the lives of his minions interesting and eventful, giving them a meaning in life. Saradomin - Basically a mockery of the Catholic church. He has goals (were they ever revealed?) that he will do anything to achieve. My guess is that he wants to be the only god so that he doesn't have to share power. Mortals are merely pawns to him, he doesn't see them as living beings like himself. He will lie to them, cheat them, and abuse them for the sake of his goal. Seren - She loves her followers immensely. They're all that matter to her. She only wants what is best for them. She has a very specific idea of what is "best", though. Peace, isolation, freedom. She fails to see that this leads to the monotony and meaninglessness that found Zamorak's beliefs. It also seems that unless a follower truly loves her, he or she will get nothing from her. Sliske - A wildcard. He may have had contact with Zaros, if he can actually travel to the Shadow Realm, rather than just disappearing and reappearing somewhere else. His motives and goals are a mystery. He's very intelligent, selfish but loyal, and very powerful. Siding with him is a gamble, either he will forsake his followers and follow a selfish desire, or he will award those who aid him magnificently. Zamorak - He believes that chaos brings meaning to life. Without it, we grow complacent. We never stop trying to improve ourselves, our society, or our world. Yes, there is destruction, but it fosters growth and society becomes stronger. We see this in the real world as communities form strong bonds after disasters. In a way, he wants what is best for everyone, not just his followers. He knows that he must provide an impetus for humanity to grow. If Seren were in control, life would be meaningless. Zaros - He just wants power. He seems to be very similar to Saradomin, like pretty much exactly the same. 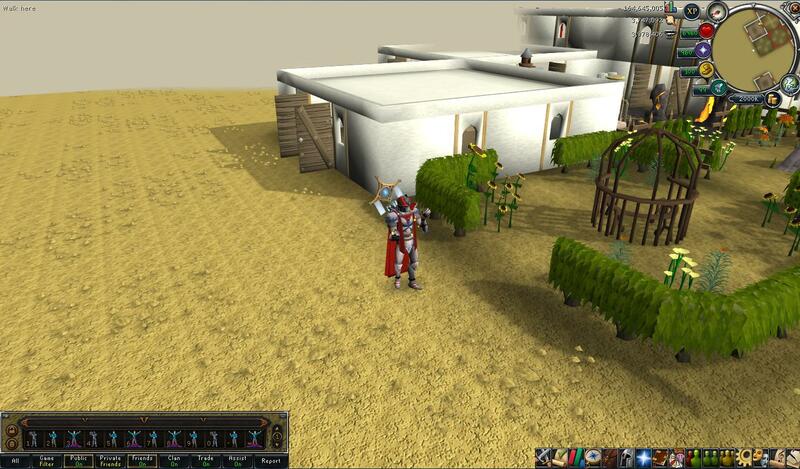 In the modern age, we think of him as deceitful and evil, but Saradomin was as well. Saradomin just managed to maintain a reputation of wholesomeness and justice. Zaros probably lied to his followers as well. The Godless - They have a lot of things right, especially how gods only cause war and destruction. The teachings of Zamorak say that this isn't a bad thing, though, because it creates progress and meaning. The beliefs of the Godless seem to be based around the short life spans of humans, where "the greater good" has no meaning to them, because benefits are only seen generations later. It is unlikely that this faction would garner support from any major creature other than humans for that reason. I disagree with your interpretation of Zaros. Saradomin wants all his followers to adore and love him as the one rightful God. Zaros no longer has any interest in ruling over great land masses. Instead, I get the feeling he wants a closed circle of loyal allies with which to subtly control and direct events of the world without anyone knowing. Pink is Bandos and Purple is Zaros--Jagex messed up the color key by accident. am i the only person who finds bandos being pink to be hilariously ironic? Hey wait a minute, why can't we follow the monkey god? I suppose that's true now. But in the days before he was stabbed by Zamorak, I think he wanted to control Gielinor and be seen as the rightful ruler of all civilization, which is similar to what Saradomin wants. I can imagine Saradomin and Zaros being at odds with each other, because neither are explicitly good or evil and they want similar things (singular rule). Basically because he's not a serious god. He's in the same category as Brassica Prime.